Possible field alert – Bob W was playing with his mosquito larvae friends yesterday from the standing water in the little ditch. I believe mosquito’s may be numerous and hungry in the next day or two. Bring plenty of repellent if you go out there this week! Well we had a good humid day to fly yesterday even with all the dark cloud cover there was lift to find. Bob W and I were flying our Xplorers, Rich his Super Ava/Mirage, and Ed was flying his new to him Xplorer 2. Ed had made some adjustments from his last flying session with the Xplorer 2 and his launches were not going so well. Unfortunately, the more we tried to help with ideas and the more adjustments Ed made the worst it got. I hope he irons this out soon. Rich was flying his Super Ava very well and I could tell he was very confident with it and making some good times. 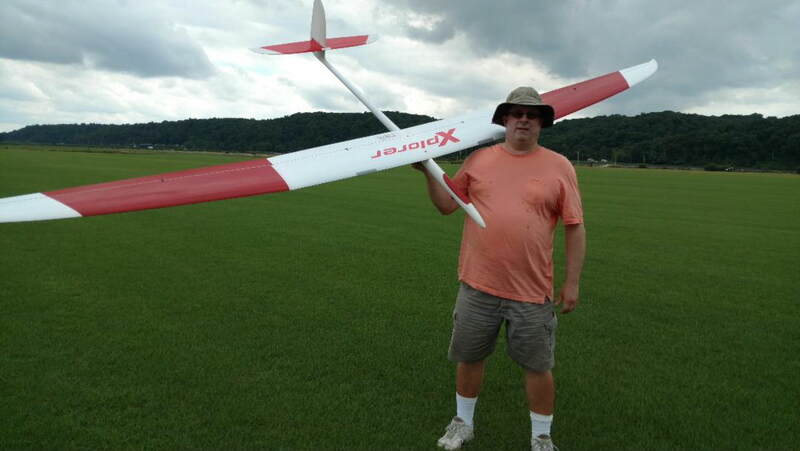 Bob W and I were flying our Xplorer 1’s around and on my third and last flight I made my 2nd LSF level-3 30 minute flight. It was a little funny as I was skied out for most of the 15 minutes in and Rich and I were talking and he suggested to go for the 30 minute flight. Well I continued to soar in some nice air and Rich said with 10 minutes to go that I had it. That was almost the kiss of death as the lift cycle and wind direction changed and I had to fight the last 3 minutes to get it. I made 30 minutes and 37 seconds. Congratulations on your LSF 30 minute flight. This reminds me that I need to get out and finish my 2nd 1 hr flight for Level IV and my 2km goal and return.